Launched in March 2018, Central London Works is a new employment programme designed to help CLF residents with health conditions into work. The £51m programme will replace the previous national employment support programmes operating in Central London, and will support up to 21,000 of our residents to find work and manage their health condition. 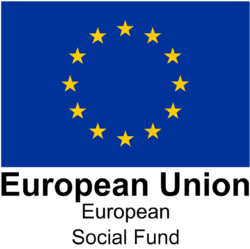 The programme is the first major piece of devolution to London for a decade, and will be part funded by a grant from the DWP, and part funded by European Social Fund. Central London Works will be different from previous schemes. It will appoint a single provider to work closely with our member boroughs, to bridge core employment support with local services, with a view to developing a tailored individual support package for participants. For the purposes of Central London Works, CLF boroughs are joined by four associate members, enabling the programme to support a greater number of participants. Our associate members are the boroughs Hackney, Haringey, Lewisham and Tower Hamlets. More information for residents and partners is available on the Central London Works website.